If you head to SFMOMA's café on Third Street in San Francisco, you can order up some Damien Hirst "Amylamine" lemon velvet cake, Donald Judd tomato soup, and Mark Rothko Toast. 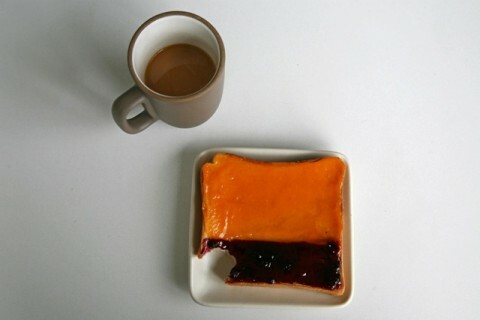 The Rothko Toast comes painted with apricot butter along the top, and wild blueberry jam along the bottom, creating an edible imitation of Rothko's painting known as "No. 14, 1960." 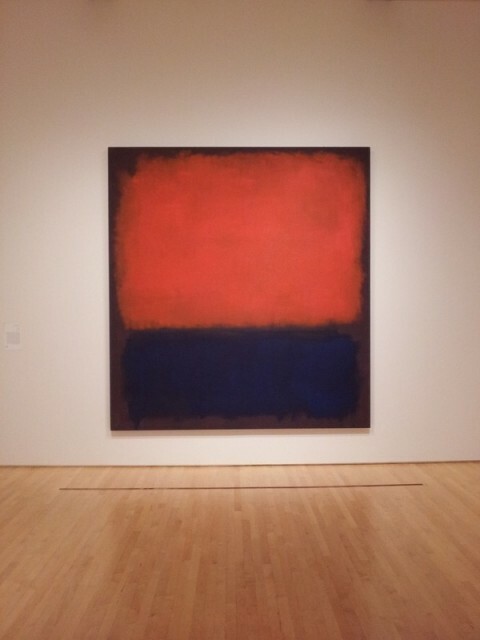 The painting (see below) hangs at SFMOMA, the West Coast's first museum devoted to 20th century art.